As a kid I always dreamed of being featured on a baseball card! 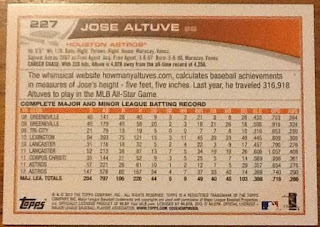 Thanks to Topps for the shoutout on the back of Altuve's card! All content copyright Bryan Trostel, 2012-2018.